At this year’s Vitafoods exhibition in Geneva, SternLife will present a new generation of protein bars. They have a very soft, light texture similar to that of confectionery bars. 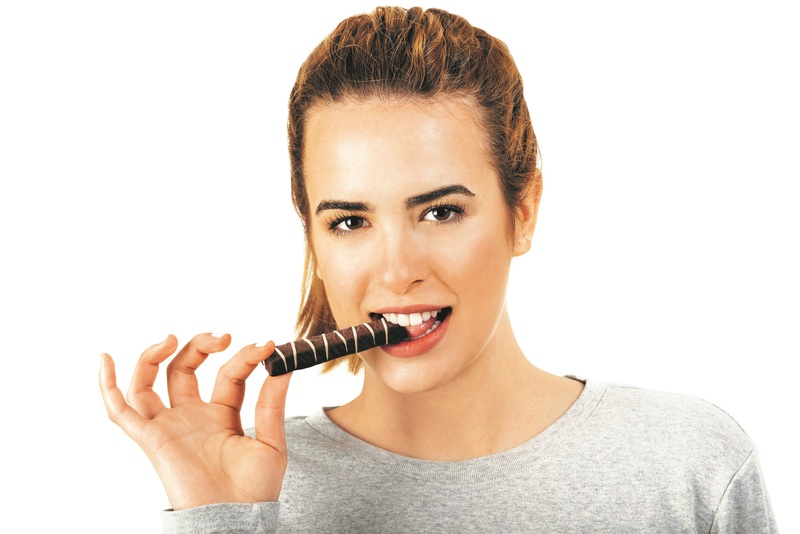 Thanks to their taste and their tender, creamy consistency, the new soft bars have more in common with chocolate bars rather than functional bars despite being enriched with protein and dietary fibre. With fashionable flavours like Iced Coffee, Caramel Fudge, Strawberry Ice Cream or Salted Caramel, brand suppliers can extend their range of protein bars to include attractive alternatives with high unique selling value and satisfy the consumer’s demand for healthy enjoyment in terms of “permissible indulgence”. The new bars, coming with a crisp chocolate coating, contain high quality milk protein; they are low-sugar and free from soy and gluten. “The successful and healthy way to your ideal weight”: that’s the motto of SternLife’s modern meal replacement shakes. The content of dietary fibre along with their high percentage of protein ensure a good feeling of statiety. Next to protein the shakes contain high quality plant extracts like papaya, curcuma, pomegranate or matcha and are rich in vitamins and minerals. Depending on the customer’s request the proteins may either be from animal or plant origin, which makes the low-calorie shakes suitable for vegetarian or vegan diets as well. With different flavours like Cookies & Cream, Chocolate, Cappuccino and Vanilla as well as fruity variants like Strawberry, Apple-Cinnamon or Banana, SternLife offers a wide range of attractive products. Next to these modern shakes Protein Porridge, Protein Risotto and Protein Rice Pudding also provide variation to the daily diet.These, too, are simple and quick to prepare as a meal. SternLife’s new keto line is targeted towards health-conscious consumers and fitness enthusiasts. Three attractive products are available enabling manufacturers of branded goods to make profitable use of the current trend towards ketogenic nutrition. All three products are based on MCT oils extracted from quality coconut oil. According to scientific studies, these medium-chain fatty acids promote both weight loss and reduction of the body’s fat mass and are also known to provide energy to the body. A great start into the day without using carbohydrates. In other words: MCT oils are a great tool to ensure the success of a ketogenic diet. Ketoproof Coffee and Ketoproof Matcha Latte for example promise a perfect start into the day. The powders that can be mixed with liquids contain 5g of MCT’s and less than one gram of carbohydrates per portion but they also contain a large amount of dietary fibre. The caffeine coming from coffee or matcha powder fires up the metabolism and therefore these products are ideal for breakfast or for fighting afternoon drowsiness. The new Keto Protein Shake with 9g of MCT’s and less than one gram of sugar per portion completes the range. With its high percentage of high-quality protein and large amounts of dietary fibre it provides a satisfying meal for fitness and health addicts. Visitors to Vitafoods can learn more about SternLife’s exciting new products on Stand L56, where the company will also give information on the new “DELUXE protein bar White Chocolate Cookie Dough”. With its high protein content and delicious taste experience, the product lends itself as a healthy snack between meals. SternLife will also present the bar at the Vitafoods Tasting Centre.